River’s latest collection is Indoor Skydiving: challenging, contemporary and playful, it explores subjects as diverse as human trafficking and digital-age celebrity with humour, vitality and practical compassion. The Purpose of Your Visit was highly commended in the Poetry Business Book & Pamphlet Competition 2007 and is available to buy here. 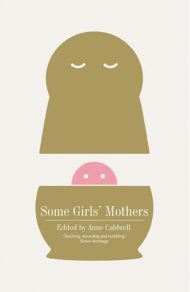 With Anne Caldwell, Clare Shaw, Nell Farrell, Char March and Suzanne Batty, River co-authored Some Girls’ Mothers (Route), moving and hard-hitting stories about the mother/daughter relationship. ‘Critic Tango’ and ‘Bursting Free: Writing and M.E.’ in Writing Works: A Resource Handbook for Therapeutic Writing Workshops and Activities (ed. Bolton, Field and Thompson, Jessica Kingsley Publishers 2006). ‘Death and Poetry’ in Dying, Bereavement and the Healing Arts (ed. Bolton, JKP 2007). ‘Notes for the Guidance of Accused Persons’ in Faslane 365 – A Year of Anti-Nuclear Blockades (ed. Angie Zelter, Luath Press 2008.